As far as we know, Species 8472 was "discovered" by the Borg, which is where the designation of the life form comes from. Completely non-humanoid, these trans-dimensional aliens are tripedal with a leathery epidermal layer that is purplish or gray-green depending on incidental lighting. The appendages most likened to arms have a length similar to that of the entire body, which measure, which appear to be about 2.5 to 3 meters tall. The aliens walk in a stooped over posture on either the three legs or in several instances, on all five limbs. The skull is elongated, with a crowning cranium that probably relates to the telepathic abilities these entities possess. Very striking is the unusual "cross hairs" pupil of 8472’s eyes, which is golden in coloration. Portions of the external anatomy seem to barely cover the massive skeletal structures underneath. He necks and spinal column of these creatures have several well defined orifices, the physiology of which is unknown at this time. It has been suggested that this has something to do with the extreme agility the species is alleged to demonstrate. In addition, the species demonstrates extreme strength, the ability to pierce force fields, rip through the bulkheads of modern spacecraft, and to dispatch it’s humanoid adversaries with apparent ease. The bodily movement of the creature has been described as sort of bobbing and swaying, as if it is some fluid environment. This is probably due to the nature of the fluidic space in the subspace dimension species 8472 inhabits. They seem capable of surviving and acting in virtually any environment from the vacuum of space to the controlled environment of Federation, Borg and other alien life support parameters. 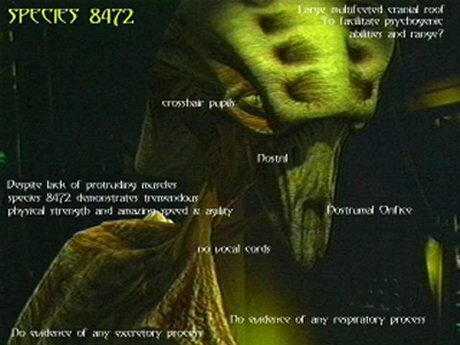 Species 8472 is an extremely intelligent life form, having developed an extremely impressive array of advanced technologies including organic based bio-ships which have the same essential and completely unique DNA structure as the species itself. They have developed beam weapons that are so powerful that just passing near one can throw a large starship off it’s course. This beam weapon can apparently disable and destroy Borg vessels with ease plus they can combine their beam output in a unbelievably intense show of power that has been used to destroy entire planets. Species 8472 exists in a parallel subspace dimension that can only be accessed through a quantum singularity. This unexplored dimension is called "fluidic space" as the entire dimension has an atmosphere of somewhat dense organic fluid. It appears that the only inhabitants of this dimension are species 8472, although they may have eliminated any other life forms that may have existed in that dark realm. One interesting aspect of fluidic space is the fact that entry into the dimension creates a powerful compression wave that effectively alerts species 8472’s bio-ships to the presence of an intruder craft. It has been postulated that species 8472 was not aware of this dimension until the incursion by the Borg in the early 2370’s. The Borg learned of the species possible existence via the assimilation of various civilizations that had been studying the alternate dimension. Using a powerful artificially generated quantum singularity, the Borg invaded fluidic space with the intention of assimilating any life forms that might reside there and their attendant technology. However, the Borg underestimated the power of Species 8472’s biogenic technology, for the first time attacking an enemy with the ability to easily defend itself from Borg technology. Not only did they repel the Borg from fluidic space, they pursued the Borg into their own territory in the delta quadrant. 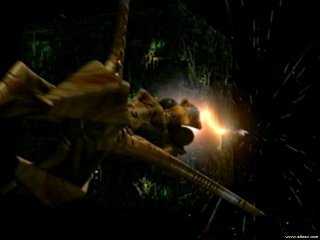 According to the Borg report we translated, in a period of five months the Borg lost over 300 ships, eight planets and over four million drones to the attacks by species 8472. The Borg desire to assimilate the life form was thwarted by their incredibly dense DNA and other aspects of their advanced physiology that effectively eliminates the possibility of assimilation by typical Borg techniques at least. In fact, our studies indicate that species 8472 has an immune system that is nothing less than extraordinary. Besides incredibly efficient internal killer cells, the creature can actually project a mild bio-electric force field. Species 8472 is a formidable enemy, for even when severely wounded and barely able to maintain consciousness it’s physiology projects an unmeasured bio-electric field that makes it impossible to complete a scan, effectively blocking out all scanner signals. We have seen situations where a member of species 8472 has displayed several gross bodily injuries from beam weapons and puncture weapons and they still manage to regenerate within a very short period of time. The internal cell structure of the purple shaded creatures is fascinating, unlike any life form we’ve encountered before. A cell from one of the creatures will exhibit as many as two thousand mitochondria versus the normal human which has between 2 and 12 similar structures per cell. Further, analysis of the DNA of these life forms displays the most densely coded DNA sequences ever seen. No matter what attacks the creature’s systems, whether it be a chemical, biological or energy based agent, the species’ immune architectures are able to overcome the invader. In fact, the immune system of the species goes beyond simply protecting the internal physiology from outside attack. The immune system is so impressive as to actually provide the creature with an effective form of attack.. If a challenger’s body is infected with even the smallest amount of the creature’s biological material it rapidly invades every organ in the victim’s body and essentially consumes it from within. Fortunately, Star Fleet had a treatment developed very early on, utilizing modified Borg nanoprobes. Interestingly, the only defense we have against species 8472 is through similarly modified Borg nanoprobes. Regardless of the method of introduction, these specially modified cell sized nanoprobes begin the process of assimilation, but then self-destruct, destroying the alien material along with themselves. This produces an effect on bio-ships that causes them to explode, as it does to the actual entities themselves. We can also adjust the nanoprobes to simply sedate the creature or kill it. Species 8472 does not appear to have any vocal cords, communicating telepathically with each other and telepathic humanoids like Betazoids, Vulcans and the Kes. In any case the creatures limited communications with humanoids has been very aggressive, emphasizing their bravado and malevolence for our life form, as well as their belief that they are invincible. It appears they view our dimension as an infection, an agent of destruction that they must eradicate. Members of species 847 display individuality, unlike the Borg collective. To date we have uncovered a hierarchy that exists within the species’ society, with individuals that have varied points of view, practice different customs and hold various positions of authority within their social structure. There is no indication of sexual differentiation. 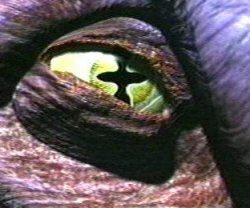 We recently gained additional information about Species 8472 from subspace transmissions of the Hirogen, a nomadic space-faring hunter clan that inhabits a large section of the delta quadrant. According to the data we intercepted, the Hirogen chased a single creature over a region of 50 light years in a six month period as they attempted to hunt it down. They described the creature’s ability to survive relentless pursuit and attacks, saying that it appeared like a cat, to have many lives. In information gleaned from Borg contacts we note that they observed the specific strategies that species 8472 displays upon entering a spacecraft. They proceed to disable the ships primary power grid, then they disable key systems such as life support, gravimetric systems, and so on. As they encounter other life forms they just as methodically eliminate the threat as quickly and efficiently as possible. Again, much like a severely wounded mammal, species 8472 will barricade itself into a corner, presumably to give itself enough time to sufficiently regenerate from it’s traumatic injuries. 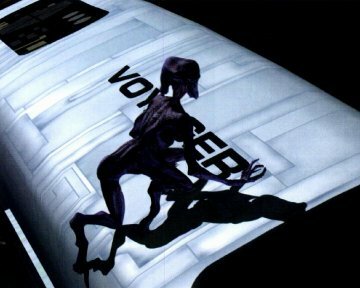 Amazingly, there is evidence in the Voyager transmissions that species 8472 can, presumably due to their unique DNA alter their genetic matrix, allowing them to assume the shape and anatomical structure of other species, including humanoid. Since much of the transmission was corrupted in this particular part of the data packeting, we do not have much in the way of detail on this fascinating aspect of species 8472. This also opens up the question as to whether there may already be members of species 8472 living among us as humanoids. The data we did derive indicates that the creatures can only do this trick for short period of time unless they utilize some enzymatic preparation that they must inject into themselves. In summary, the introduction of the humanoid dominated space to species 8472 has been cause for great concern among the strategists at Star Fleet Command. Any species that can send the Borg running, killing millions of drones, destroying entire planets, yes this is cause for concern. Obviously, if species 8472 can develop a method to fight off the effective our manipulated nanoprobes then we stand, for the moment at least, defenseless against such a technologically advanced and malevolent race. Since we discovered strong evidence that the humanoid genome was intentionally seeded on planets throughout this galaxy, we are now facing for the first time a species that is completely alien; nothing about them physiologically, psychologically, or neurologically is in the slightest way related to humanoids. Their DNA is over 100 times more densely coded than the humanoid, or any other genome for that matter.